We’ve included a brief bio of each of our team member so you can get to them better. We look forward to meeting you and as always, we thank you for your trust in us! Matt is our President and serves as a Senior Technical Consultant and is one of the co-founders of Midwest PROTECH, LLC. 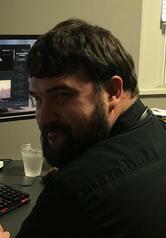 Matt has been involved with computers since the early 1980’s, starting with BASIC language programming on a TRS-80 computer. In the early 1990’s he began work with Client Server Associates as a Visual Basic programmer where he started to learn networking and IT skills. During this time he also worked from his Cincinnati home as a consultant for Integrated Sales Management, Inc., a company based in Irvine, California. Matt and Rod built Midwest PROTECH, LLC in the evenings and on weekends providing small business and residential support services to the entire Greater Cincinnati area. His primary roles are supporting our larger business clients and working out in the field identifying new business needs and helping our clients control their IT costs through active ongoing relationships with their key decision makers. Rod is our Vice President and serves as a Senior Technical Consultant and is one of the co-founders of Midwest PROTECH LLC. Rod’s excellent people skills and natural troubleshooting abilities, make him the natural “go to” guy for everyone in his circle of influence. 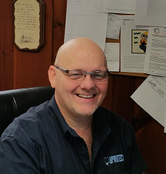 Rod primarily handles our in-shop residential and business services including managing the shop technicians, drop-off and remote services and on-site service calls as needed. His specialty is troubleshooting and fixing serious malware and virus infections. Whether a virus clean-up, hard drive replacement or operating system reinstallation is in order, we guarantee you’ll be getting the best service possible. Ray is our laptop and electronics repair specialist. 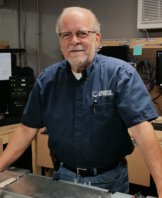 Ray is our in-house technician for all types of laptop repairs including broken keyboards, LCD panel replacements, main board electrical repairs and other internal components. Ray cut his teeth in the electronics field while in the Army Signal Corp where he worked on avionics and land based communication equipment. Ray is also the founder of Pro Laptop Repairs, an eBay business that specializes in GPU chipset repairs, DC jack repairs, etc. Ray has been on the team since 2009 and really has been involved from the beginning as he’s Matt’s father. Shantel is our Office Manager. She keeps the day-to-day operations moving along. She stays on top of our vendor relationships, payment processing, billing inquiries and handles all our marketing and advertising relationships. She has worked as a Planner/Scheduler and other various positions at ILSCO in Cincinnati for over 20 years. She is also the President of the Bardes Employees Federal Credit Union as well as the Treasurer of the Bridgetown Middle School. 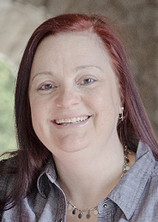 She brings a huge amount of bookkeeping and accounting experience to the team. She has been with the team from the beginning since she’s Matt’s wife. Brian joined us after spending 16 years in the construction industry overseeing projects from the beginning to the end. He has attended ITT TECH with a focus on computer science and is now a Technical Consultant working with our residential and business clients. Brian’s strengths are troubleshooting and communicating clearly to our clients without all the “geek” speak. He has a passion for working our clients and is a perfect addition to our team. 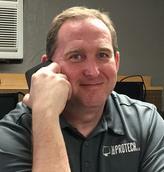 Mike is a Senior Technical Consultant and has been with Midwest PROTECH for a year and brings a wealth of knowledge of SIP hardware-based and hosted VoIP solutions, server maintenance & management and hosted solutions experience. He is a Microsoft Certified Engineer and he has been in the IT support field for over 15 years. 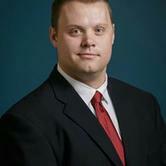 He has worked as the Director of IT for Waltz Business systems and the owner of SiteTek Systems. 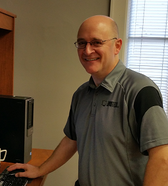 Kurtis is the newest Technical Consultant of our team. Coming from Corrections and Security he is a positive asset to our team. As a Per Scholas IT School and Job Corps Medical Assisting graduate he is well trained and determined to provide safety & security to our clients with their journey through technology. Kurtis is very mindful in thinking outside of the box. His philosophy is, “What do you get out of it?” Being a well outspoken people person he enjoys the satisfaction of knowing he made a difference. With determination he provides our clients with information allowing them to better understand technology and have pride in their knowledge. Looking forward to not only their growth but their success. Patti is our account receivable representative. You’ll may get a call from her to follow-up on how your recent service call went or to answer any billing or invoicing questions. Patti is Gary’s wife and replaced Gary as Gary has since retired (congratulations!). Patti started with Midwest PROTECH early in 2018 and is Shantel’s mother.